- Apply to clean skin, including eye area, and massage gently until absorbed. It covers my face so well and make it so easy to decorate. Also it is easy to absorb. I have been using this for some time. It does what it says on the bottle. My one negative is that I would prefer a larger bottle. Although it doesn't need a lot to cover your face I still find I have to buy it often so would like a larger bottle to last longer. 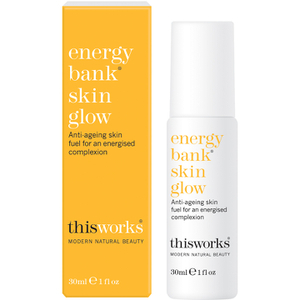 I use the this works in transit skin defence and thought I'd give this a try - also thought might be handy for travelling to avoid bringing separate moisturiser and primer. 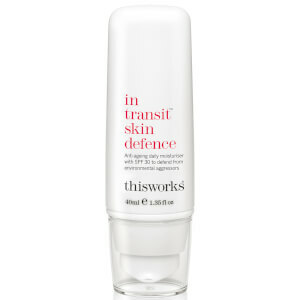 So while I think it'll be handy for travelling, I will be reverting to the this works in transit skin defence and separate primer. I find my skin quite tight/dry after this. worked really well as a moisturizer and primer, quick absorption into the skin feel firm and smooth. will buy again. This is a great product - goes on like a dream and provides a perfect base for foundation. I love it! Amazing product, very helpful before you put make up on!